Scientists from the University of California in Santa Barbara, after studying the deposits of volcanic ash from 639,000 years ago, the Yellowstone super volcano, erupted, caused by two long frequency seasons. Lasting more than 60 years each due to the activity of the Yellowstone. 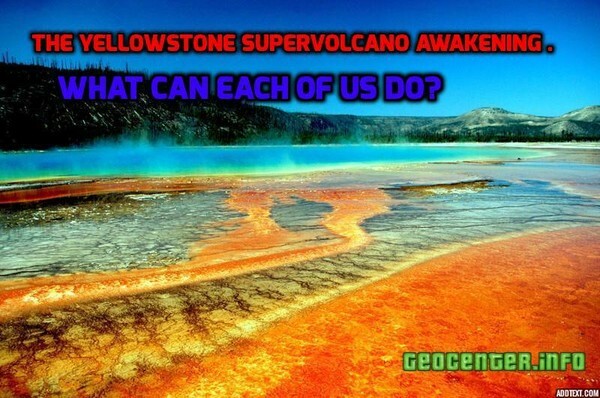 The Yellowstone Supervolcano Awakening . What can each of us do? 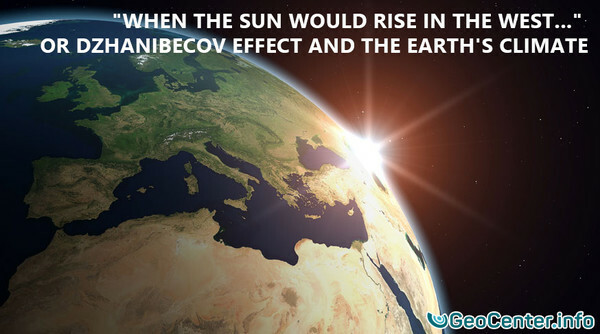 According to the latest news from Yellowstone National Park (USA), the temperature rise of the earth surface and water surface is observed on its territory. The tendency of water temperature change in the Boiling River from September 2012 is shown below. 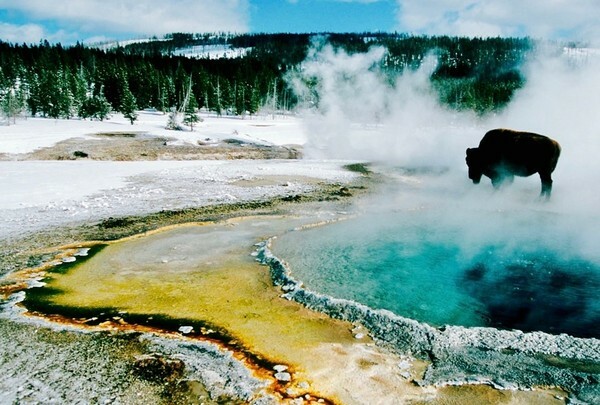 The conclusions about the connection of these phenomena with the awakening of the Yellowstone supervolcano have been made, as indicated in the climatic report of the ALLATRA SCIENCE community of scientists. Yellowstone today is the most dangerous region of the planet, in which irreversible processes are already going on. The need and concrete steps of the transformation of society from a degrading consumer one into a flourishing spiritual have been described. It is the only model that will allow our civilization to survive the climate change on Earth and global natural disasters. The second half of April turned out to be quite refreshing practically for the entire territory of the Northern Hemisphere of our planet. 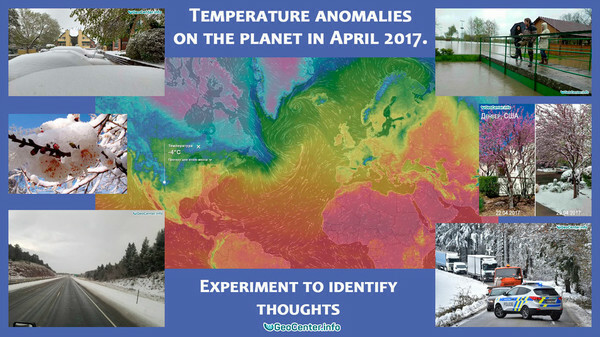 The article contains temperature maps and photo materials of eyewitnesses, recorded in late April - early May 2017. Also, the reader offered a unique experiment to observe his thoughts for a more in-depth understanding of himself. This article awaits to be translated into English. 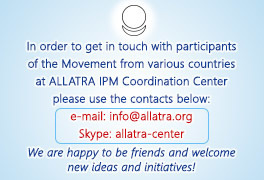 To participate in international team of translators, please contact us: [email protected] Images are already placed in the article, but you may also offer yours for any paragraph you like. The article has been proofread, but if you notice some inaccuracies, mistakes or misprints, kindly let us know. This article waits for audio narration This article waits for a video-version. If audio narration is ready, you may download it and create a video. An analytical article devoted to the study of the freshwater aquifer. Water is the "white coal" of planet Earth and is the primary source of human life. 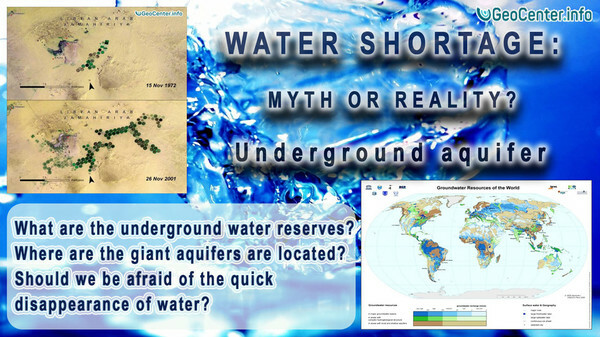 From this article, you will learn: - About the underground water reserves. - Whether to be afraid of the quick disappearance of water. - The experience of the union of irrigation scheme experts. - About underground fresh water oceans, which total water supply outweighs the volume of the oceans of the world by several times. - Information about the huge underground ocean under the Sahara Desert. 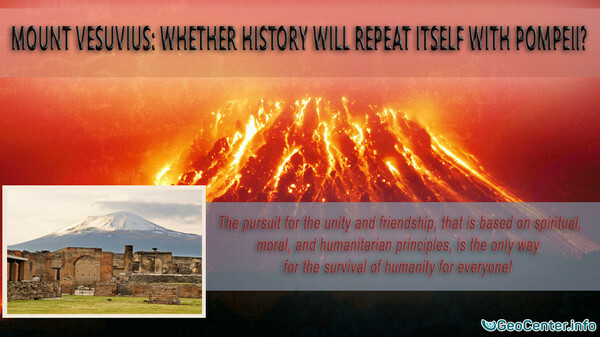 Mount Vesuvius: Whether History Will Repeat Itself with Pompeii? 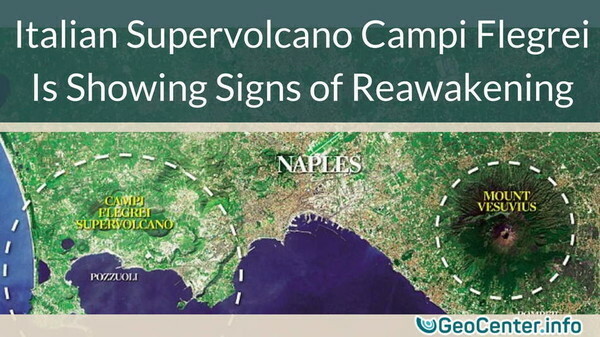 Mount Vesuvius, located at the junction of combining African and Eurasian plates, was formed as a result from the displacement African plate under the Eurasian one. The hot and the solid surface layer melted, becoming a liquid rock, but because the magma was less dense than the surrounding rock, it came out to the top, forming a volcano. 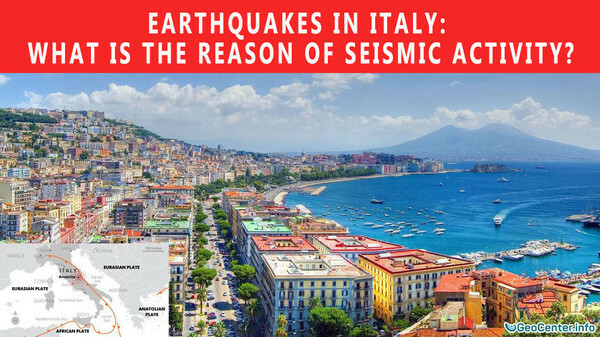 Earthquakes in Italy: what is the reason of seismic activity? Frequent tremors in Italy have recently became the most discussed topic in the mass media. Maps of seismic activity indicate dozens of earthquakes every day in this region. The magnitude of some registered as high as 6.6 on the Richter scale. For many residents of the Apennine Peninsula, these events were unexpected. In many cases people drew together for mutual assistance, which helped save many lives. 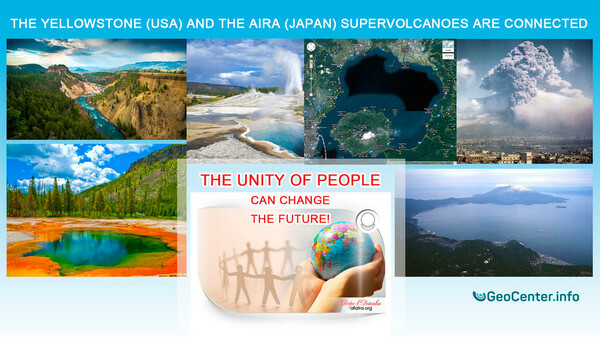 The Yellowstone (USA) and the Aira (Japan) supervolcanoes are connected. The unity of people can change the future! Two years ago the world saw a game-changing popular science report "On the Problems and Consequences of Global Climate Change on Earth. 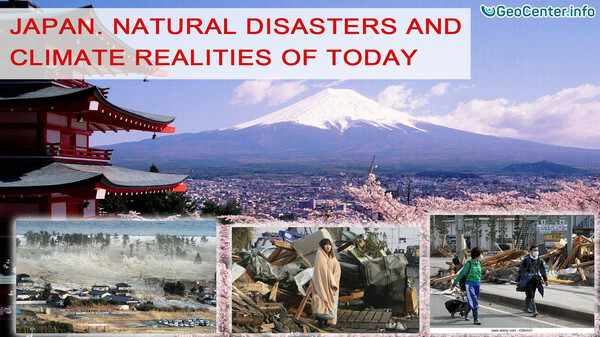 Effective Ways to Solve These Problems“, where apart from a large bulk of useful and necessary information for mankind you can find the following lines:«The conducted research identified an extremely alarming fact. Judging by the graphs of neutrino emission and the intensity of the septon field of the Earth, there is a close parallelism between the processes taking place in the most ancient calderas - Aira caldera (Kagoshima Prefecture, Kyushu region, Japan) and Yellowstone Caldera (Wyoming, USA), despite the fact that they are separated by the Pacific plate. The translation has been already done, but you may proofread it and offer improvements. Images are already placed in the article, but you may also offer yours for any paragraph you like. The article has been proofread, but if you notice some inaccuracies, mistakes or misprints, kindly let us know. This article waits for audio narration This article waits for a video-version. If audio narration is ready, you may download it and create a video. Yellowstone. 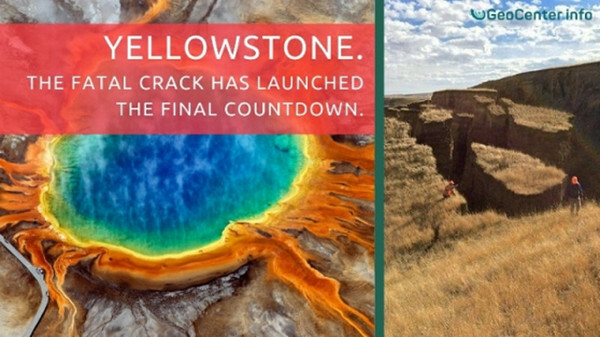 The fatal crack has launched the final countdown. A giant crack in the earth appeared in the area of ​​the Bighorn mountain range (Wyoming, USA), located about 200 km east from the Yellowstone National Park on October 23, 2015. It is about 685 m/ 45 m in size. The representatives of the US Geological Survey did not leave any comments about this event. American TV channels have only shown brief broadcasts with a comforting fiction that the crack appeared due to "the preceding wet spring." The current situation is even more alarming, due to the close location of the Yellowstone supervolcano to this place, which is now on the verge of eruption.